Get ready for summer with the latest newbies by the Essano Coconut Oil range. Peace, love & coconuts....that's all you need for this summer. 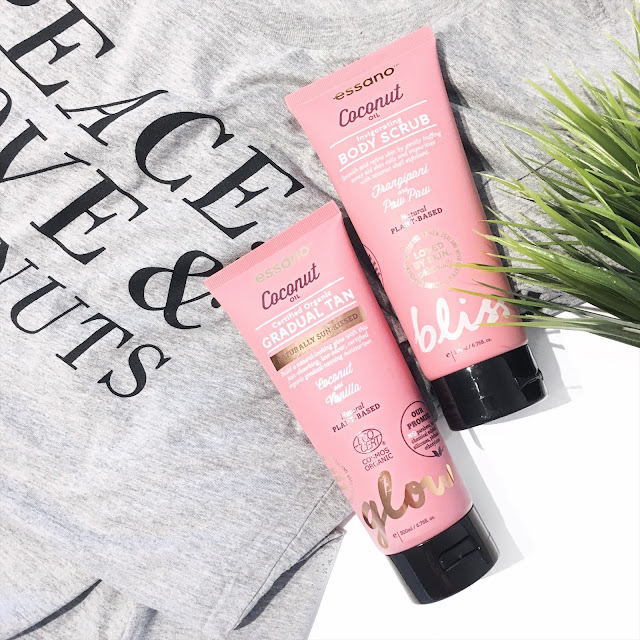 With the latest new launch by Essano featuring their Coconut Oil, Certified Organic Gradual Tan and Coconut Oil Invigorating Body Scrub, they're a great combo in helping you to get your skin ready for this summer. In terms of price points, they're easily affordable at your nearest Priceline stores, Coles and Woolworths. The products smell so blissful and tropical which is amazing because it really gets you in the mood for summer (and cocktails). 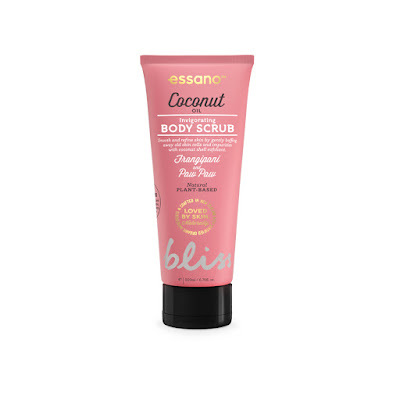 So before I actually apply on any of the gradual tan, I'd usually exfoliate the skin with a nice body scrub such as the Essano Coconut Invigorating Body Scrub. It works to smooth and refine the skin, buffing out any dead skin cells and impurities. I felt that this scrub worked quite well leaving my skin feeling smoother and softer. What's great about this body scrub is that's 100% microbead free and it contains coconut shell. It also contains frangipani, paw paw, coconut, argan and macadamia oils which all help to moisturise and hydrate the skin. For a nice and natural gradual tan, I've been loving Essano's Coconut Oil, Certified Organic Gradual Tan. It helps to build a natural glow which doesn't look too orange. It's a really fast absorbing product and there's less harsh smell for it which is ideal for a gradual tan. If anything it smells more of cocoa butter and coconut oil. For more information, head over to Essano's official website.